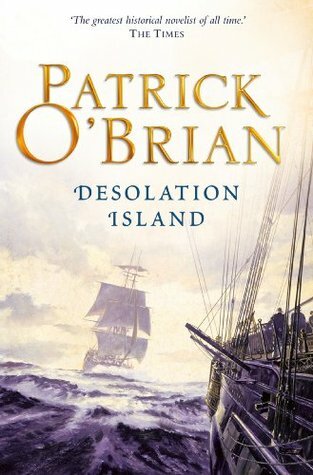 The fifth book in Patrick O’Brian’s Aubrey/Maturin series and probably my favourite so far! For once I found that I was able to follow everything that was happening – the nautical parts are finally becoming easier to understand and, now that I’m five books in, the characters are starting to feel like old friends. If you’re not familiar yet with the adventures of Captain Jack Aubrey and Dr Stephen Maturin, you may like to read my review of the first in the series – Master and Commander; otherwise, I have made the rest of this post as spoiler-free as possible, but can’t help referring to certain characters and elements of the previous four books. Like most, if not all, of the books in the series so far, this one begins on land. Jack Aubrey is in a much better position financially than he was in at the beginning of the previous novel, The Mauritius Command, and is able to provide a comfortable home for his wife Sophie and their expanding family (the twins now have a baby brother called George). It seems that trouble could be on the horizon, however, as less scrupulous men prepare to take advantage of Jack’s open, trusting nature, and much as Sophie loves her husband, she knows he needs to get back to sea again as quickly as possible. An opportunity soon arises when Jack is asked to take command of HMS Leopard on a voyage to Australia to assist the notorious Captain Bligh (of mutiny on the Bounty fame) who is having difficulties in his new position as Governor of New South Wales. Stephen Maturin is joining Jack on the Leopard as ship’s surgeon, but there is another reason for his presence on the voyage which has not been revealed to Jack. The ship is carrying a cargo of convicts to Australia and among them is a beautiful female prisoner, Mrs Wogan, who is suspected of being an American spy. Stephen has been asked to keep an eye on her throughout the journey to see if he can catch her in the act of espionage. This mission is of particular interest to Stephen because Mrs Wogan is a friend of Diana Villiers, the woman he loves, who has fled to America after also being accused of spying. I’ve enjoyed all of the previous four books in the series (some more than others) but I struggled at times with the last one, The Mauritius Command, because of the large proportion of the book devoted to naval battles. I didn’t have that problem with Desolation Island. Although there is a sea chase and a brief battle – involving the Dutch ship Waakzaamheid – this forms a relatively small part of the story. Instead, there is more focus on the daily lives of the people aboard the ship and the challenges and dangers they face on a long voyage. The crew consider the Leopard (or “the horrible old Leopard” as they call it) to be an unlucky ship and it does seem to be living up to its reputation with rumours of a ghost aboard, a sickness which breaks out amongst the prisoners and a close encounter with an iceberg! Another reason I preferred this novel to the previous one is that more time was spent on the personal relationships between the characters. I didn’t feel that we saw much of Jack and Stephen together in The Mauritius Command, but in this book they have more opportunities to talk and to indulge their shared love of music. With some of the misfortunes that befall the Leopard towards the end of the book, Jack needs all the loyal friends he can get! With Jack kept in the dark about the true reasons for Mrs Wogan’s presence on the ship, Stephen is unable to confide in him as much as he would like to and is left to wrestle privately with his feelings regarding Mrs Wogan and her connections with Diana. With most of the novel spent at sea, he doesn’t have as many chances to observe the flora and fauna as usual, but once they reach the shores of Desolation Island, he is able to study albatrosses, seals and penguins. There’s so much left unresolved at the end of this book that I’m sure it won’t be long before I’m tempted to pick up the next one, The Fortune of War. With Jack’s mission incomplete and the War of 1812 about to begin, I’m looking forward to seeing how the story continues! This one sounds much more interesting than lots of sea battles! I’d be intrigued to read it because of the Captain Bligh angle, but am I right in getting the impression these really have to be read in order? I would recommend starting at the beginning and reading them in order, but it’s probably not really essential. So far the ones with more land-based action and fewer sea battles have been my favourites – I usually avoid nautical fiction but decided to make an exception for this series and have been pleasantly surprised! I started this series years ago, although I didn’t finish it. They were pretty good, though. I’m enjoying the series but it will be a very long time before I finish it – it has taken me four years to get through the first five books and I have another sixteen left to read! That’s right. It finally wore me out. I feel like we’re on a similar journey with these books. I started reading the series in 2011 and I only just read Desolation Island this year. It was actually your review of Three Singles to Adventure that inspired me to pick up Gerald Durrell’s Corfu trilogy, which in turn inspired me to revisit O’Brian’s series. I enjoyed Desolation Island a lot more than I was expecting to. Like you, the ship battle scenes are becoming more coherent and enjoyable to me (I really struggled with all the ship stuff previously) and I really enjoy the interactions between the characters. Wogan was an interesting parallel to Diana. Much as I enjoyed Desolation Island, I liked the next book even more. It carries over a lot of the character threads from Desolation Island, there’s a lot of exciting action, and the ship battles are my favorite thus far. I hope you get to read it soon!